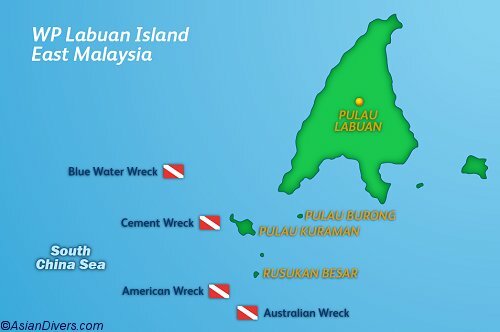 Labuan island is home to ship wrecks along with a wide diversity of marine life. Previously a British Colony, Labuan is currently a duty free destination under the governance of Malaysia. This free trade zone is surrounded by coral reefs on the outer boundary, which houses numerous types of marine and fish life. Besides the rich marine and fish life, the four ship wrecks located shallow water are the key attraction for divers. Labuan Island has something to offer to everyone, whether they are novice diver or underwater photographers.